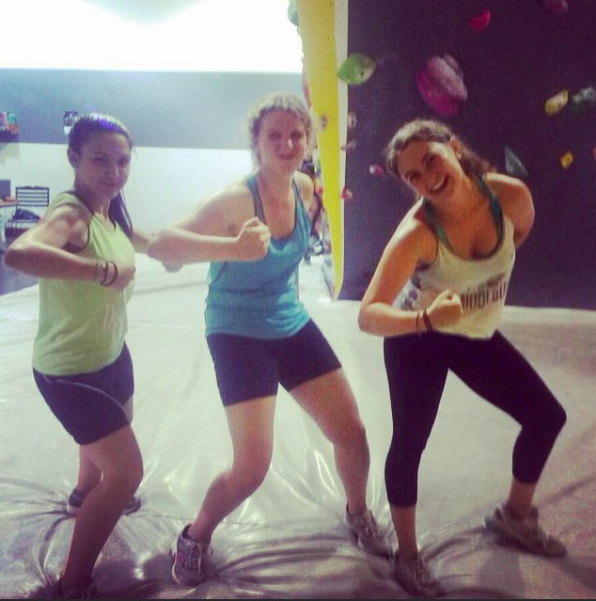 This post was written by Seth Engelbourg, one of the participants on the UMass Hillel Yahel Insight Program. 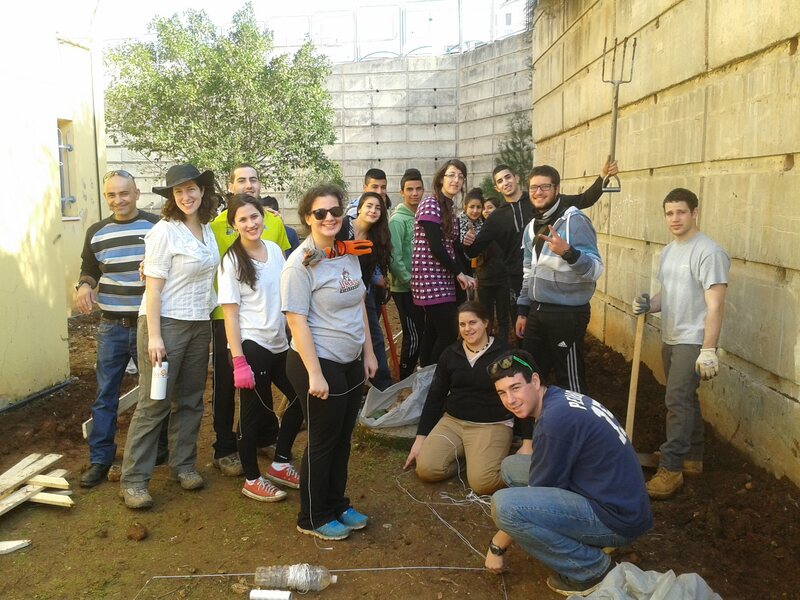 In January 2014, 13 students volunteered in the Druze village of Maghar, working with the local non-profit organization Horizons for the Future. 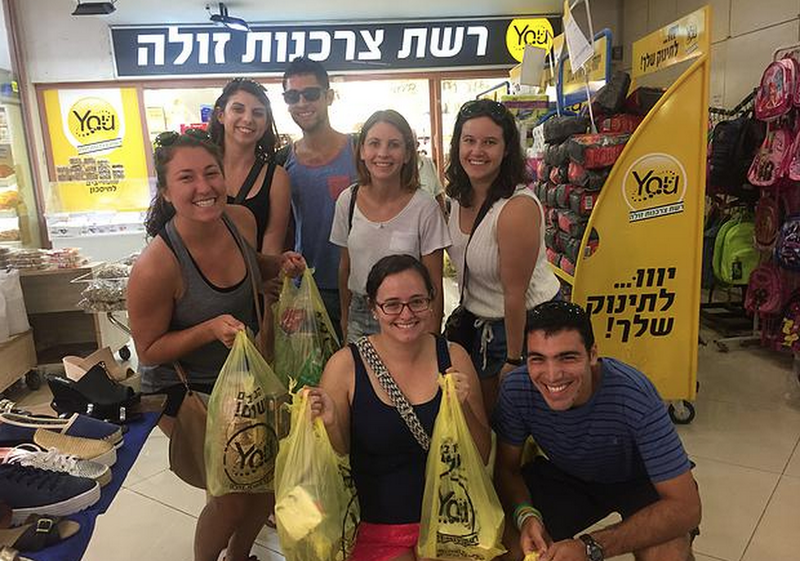 Over winter break, 13 students from the University of Massachusetts elected to participate in a service-learning program located in Maghar, Israel. This ten-day program was run as a partnership between three organizations: UMass Hillel, Yahel, and Horizons for the Future (Ofekim L’Atid). What distinguished this trip from other service projects was the intense level of cross-cultural exchange. As an organization, Yahel works with minority groups in Israel, but this was the first time that they ran program together with the Druze community. The Druze are an Arab minority religious group in Israel who live in several villages spread throughout the North, in areas such as the Galilee and Golan Heights. 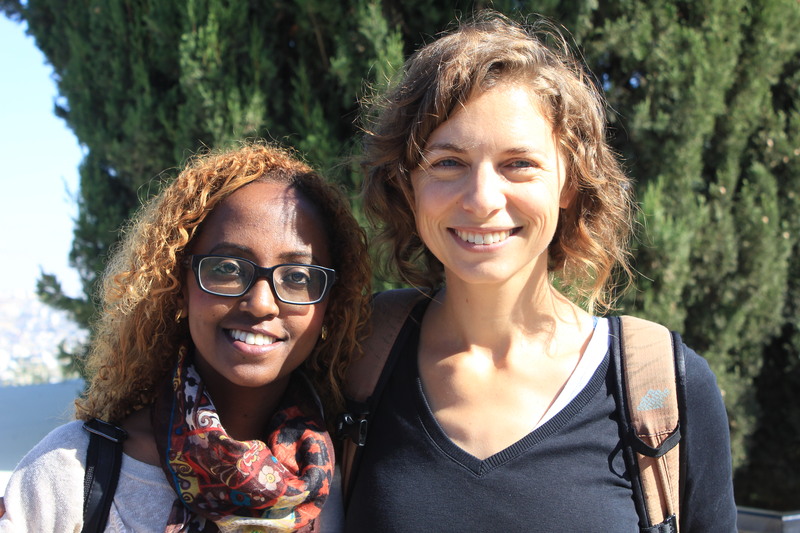 During the trip, participants from UMass lived with Druze host families in Maghar. 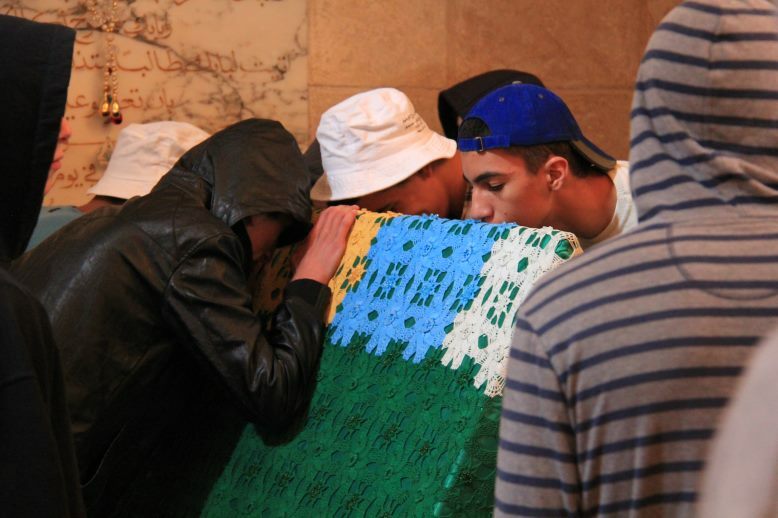 These hosts, along with many other members of the Druze community, volunteered alongside the UMass students, participated in learning sessions, and accompanied the group on a trip to the shrine of the Druze prophet Nabi Shu’ayb. 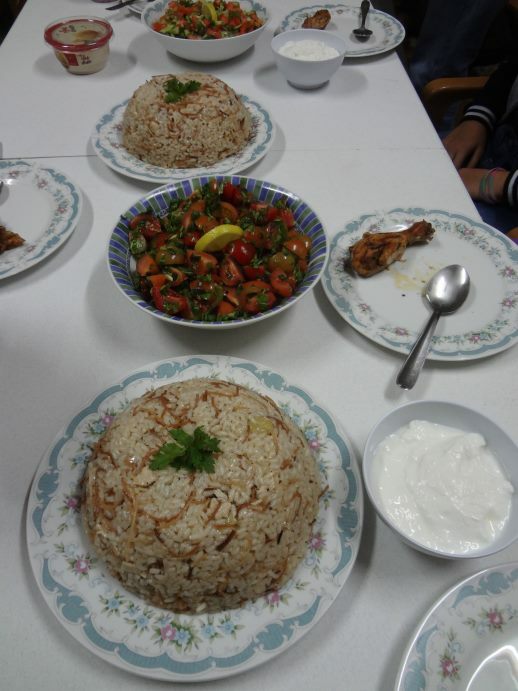 In addition to formal interactions, students from UMass and Druze locals ate meals together, got to know each other through casual conversation and went out together at night. 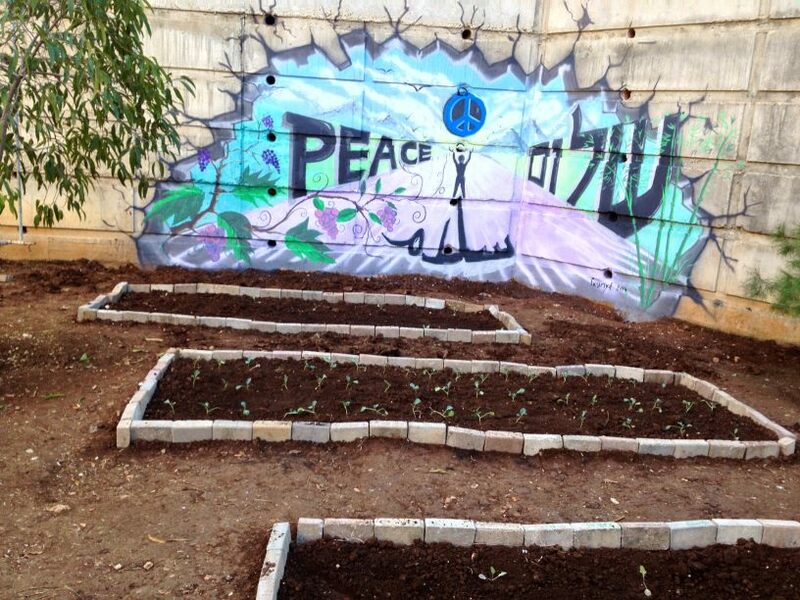 Our service project was to build an ecological garden at the vocational high school in Maghar. 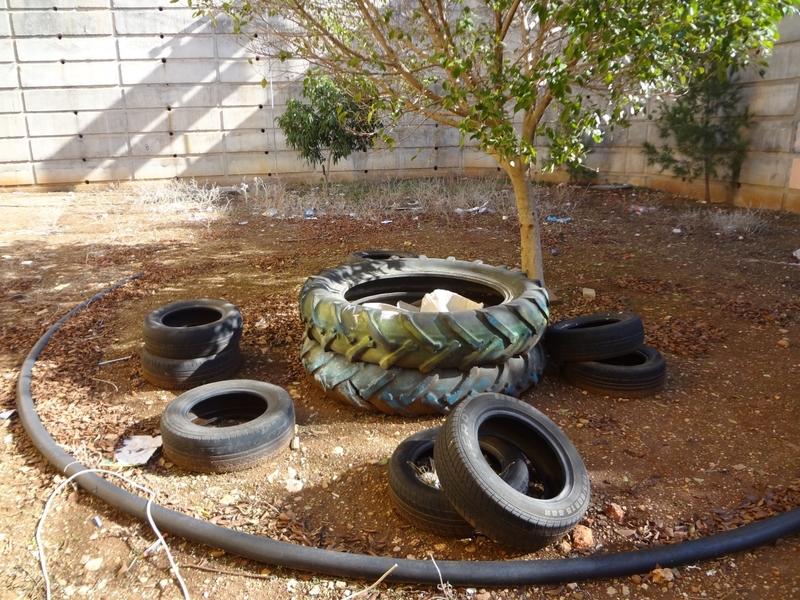 This included planting trees, building an entrance path, creating chairs and tables from old tires and painting murals. 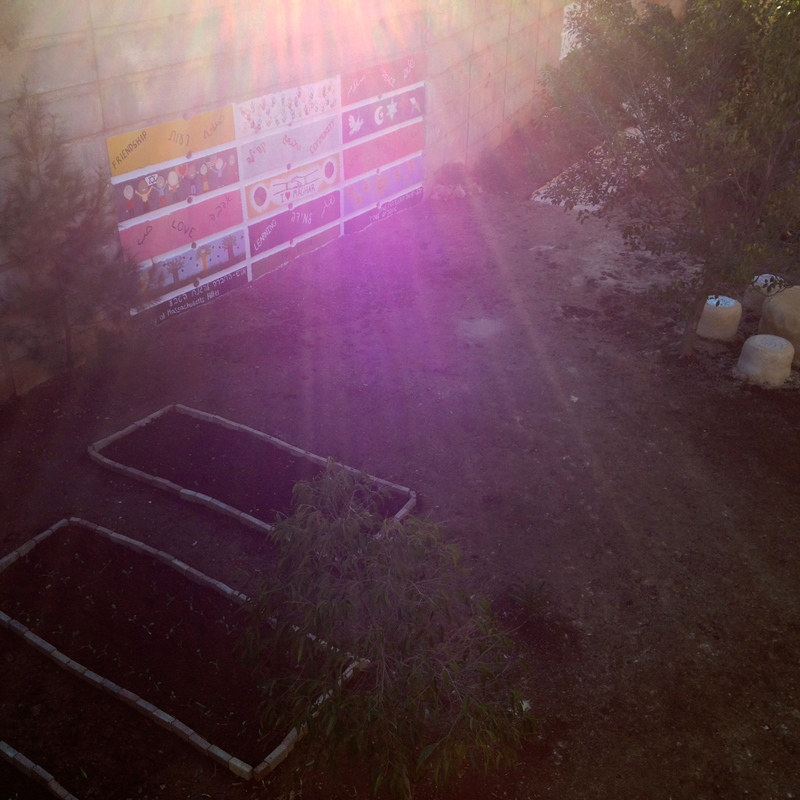 When we started the project, the ‘garden’ was nothing but a vacant lot full of trash and overgrown weeds. However, in just one week the students from UMass and Maghar accomplished a feat that we are all incredibly proud of. 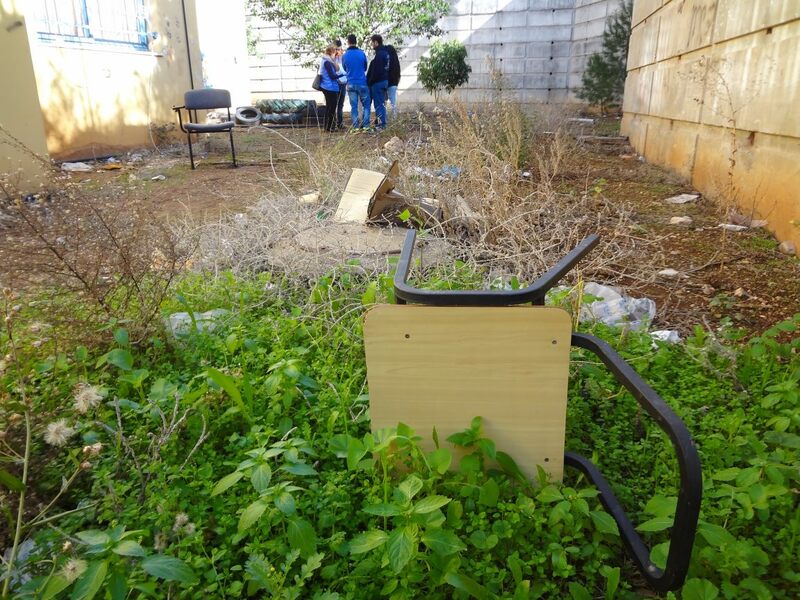 The end result was a beautiful garden springing with life that will be of great use to the community in the future, both as a resource to produce fruits and vegetables but more importantly as a place where people can sit together, learn, relax and enjoy nature. Yet, the true importance of this experience was not the finished garden we created. It was working alongside the Druze, trying to communicate in three languages (Arabic, Hebrew, and English) and learning about the culture and religion of a community that few people know much about. Within Israel the Druze and Jews have a longstanding amicable relationship. The positive relationship is in no small part due to the loyalty of the Druze to the country where they live and the fact that most Israeli Druze men complete mandatory military service. However, the basis for interactions between Druze and Jewish Israelis is often limited to relationships on an institutional level – in the army or at the office of a hi-tech company. Many Jewish Israelis that I spoke to had served together with Druze in their military units or visited a Druze village for a taste of their famously delicious foods, but when I asked them how much they really know about the Druze, most would say quite little. Therefore, those of us from UMass were in many ways pioneers. Not only did we participate in the first ever Yahel program with the Druze, but also by going to Maghar we went to a place where many Israelis have never been or know about. To me this was incredibly powerful. Three years ago I lived in Israel for a yearlong program. As part of this program I visited Daliyat Al-Karmel, one of the most well-known Druze villages. Looking back on this experience, I can now tell that it was superficial. 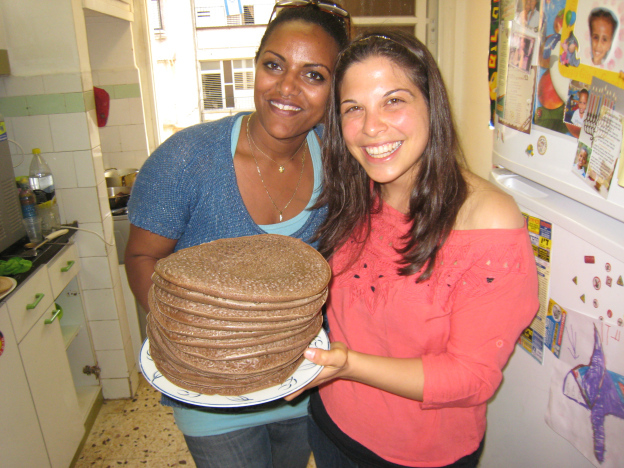 We ate Druze food and visited a Druze market but learned nothing of their culture or history. During my Yahel experience, we went much deeper. 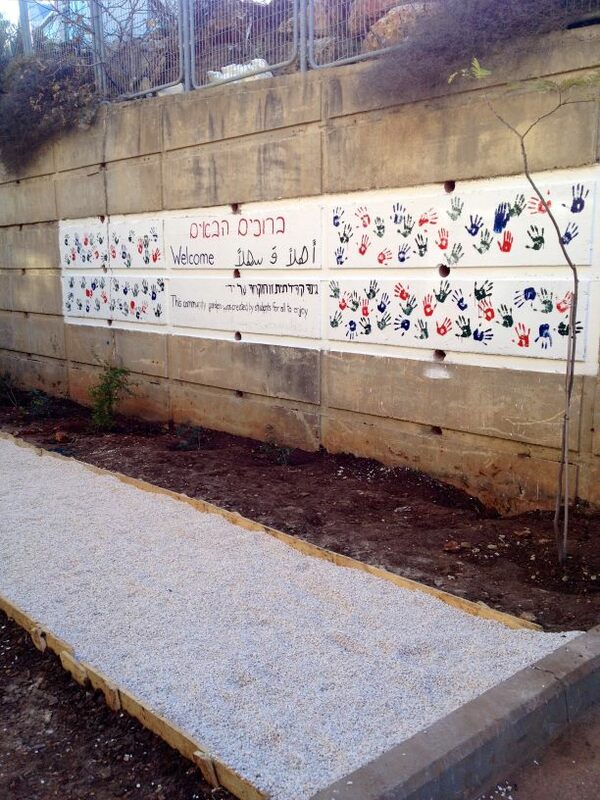 We lived in Druze homes and collaborated with Druze community members on a day-to-day basis. It was definitely eye opening. 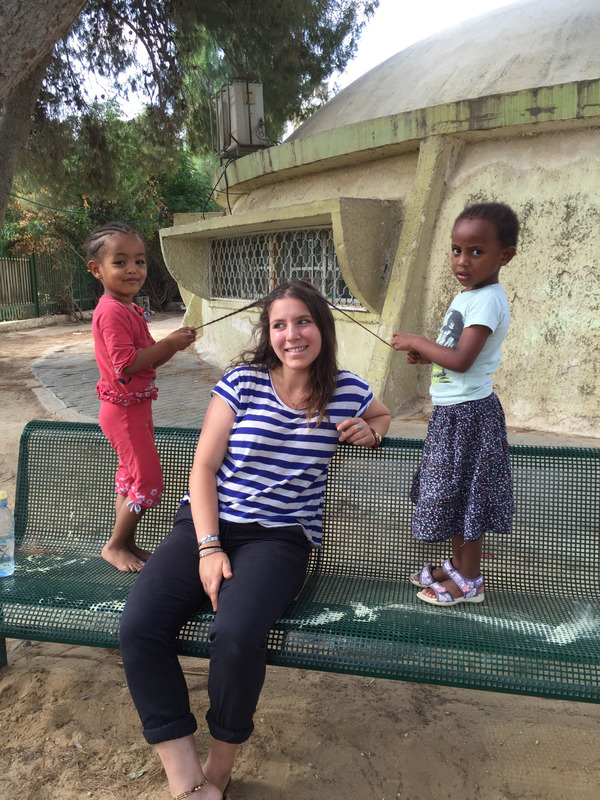 This program helped me see Israel in a new way, not through a tour bus but through the eyes of a minority community. One of the best parts about doing a service-learning project in a foreign community is that the line between who is giving and who is receiving becomes blurred. To me the definition of effective community exchange is having an ambiguous give-receive relationship. Yes, we volunteered our time and services to create an ecological garden for the Maghar community. Yet they also opened their houses, provided us with food, and shared valuable information about Druze customs and lifestyles. During the program I did not feel like I was serving the community, but rather collaborating with locals to help them serve their own needs. This point was accentuated by the level to which community members volunteered their time, goods and services to help us complete the garden. Even people who seemingly had no vested interest in our project were willing to help out. Construction companies donated gravel and sand, artists came to give advice on the murals, and local press came to promote our project to the news. None of these people were asked to do so or were offered compensation. They simply wanted to help because it was the right thing to do. To me this is the paragon of service. And although the garden turned out to be great, that was sort of a side effect. Even if the finished product had not turned out as we had hoped, the sheer cooperation between diverse peoples made this trip unforgettable. Although creating the garden was the main focus of the trip, there also were other interesting aspects. These included a tour of Maghar on the first day (including the olive oil press), a visit to the shrine of Nabi Shuib, a hike at Mount Arbel, and excursion to Tzfat and a stay at Kibbutz Hanaton for Shabbat. 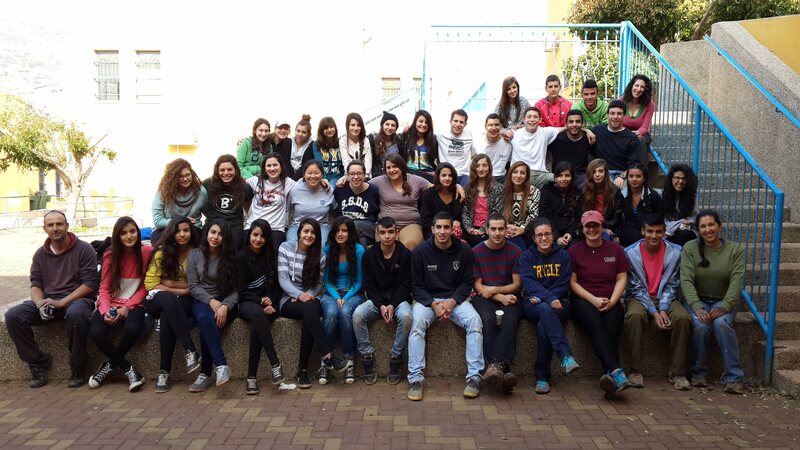 Additionally, throughout the trip we engaged in thought-provoking learning sessions both with the Druze and without. These sessions focused on different topics including Judaism, Israel, and Druze relations. One interesting session was when we watched The Syrian Bride, a movie that focuses on issues surrounding the Druze living in the Golan. I am happy that I decided to participate in this program. I could have done nearly anything on my winter break, worked, relaxed, studied, etc. However, this was a once in a lifetime opportunity that allowed my to interact firsthand with a community that most people I know may never have a chance to and for that I am thankful. Yearning to let go and feel free. Wondering what I would see of the world. Hoping that I would feel at home. And here I finally feel that I belong.